These trailers of the future also will detect potential maintenance issues and transmit other important information about the status of the trailer by employing advanced data collection capabilities. More effective preventive maintenance is a key benefit of collecting more data from the trailer, said Jong Seog Lee, vice president of research and development at Hyundai Translead. “Smart trailers will play a vital role in helping fleets detect and monitor maintenance issues before they become serious problems,” he said. Larry Hall, executive vice president for Premier Trailer Leasing, looks forward to having access to more maintenance data from smart trailers. Sensors on trailers will monitor tire pressure, wheel bearing temperature, brake conditions, lighting and more. Many of these capabilities already are available today, but connectivity and compatibility issues have not been fully solved, some industry experts said. Joey Young, manager of distribution fleet maintenance operations at Publix Super Markets, welcomes advances toward smarter trailers. His concern is the “fractured” nature of the technology currently. “Everyone is competing for their own device,” he said. “I hope that in the future there will be more collaboration between different manufacturers so that you can move to a different system and have it still work with the installed hardware. We need systems to be able to talk to each other,” he said, noting that currently there is no standardization, which is needed. “Right now there are many different sensors that pull in all sorts of data but there’s not a smart component that can receive the data, run it through an algorithm and help improve trailer performance,” said Gary Fenton, chief design officer at Stoughton Trailers. Fenton expects the problem will be solved by adding a hub in the trailer, similar to the engine control module in the tractor. “Trailer OEMs have a role to play with creating a smart component that works with multiple systems,” he said. Hyundai Translead’s Lee also addressed the lack of compatibility among trailer devices. “If a customer wants to switch telematics companies, all of the sensors and other hardware have to be changed,” he said. In response, Hyundai Translead is creating sensors that can work with multiple telematics companies, he said. Data collection also will provide fleets with other important information, such as payload weight, the amount of cargo remaining for multiple-drop trips and fuel reserves in the tank, said Craig Bennett, senior vice president of sales and marketing for Utility Trailer Manufacturing Co.
“Cameras and sensors inside the trailers will allow owners to monitor the cargo for temperature management, load shift, theft and cargo damage,” he said. The clear winners in the future will be the companies that can capture all of the right data and present it to the fleets in a user-friendly platform where it can be promptly processed and utilized, Bell said. Another factor that will push trailers to become smarter is the move toward self-driving tractors. Other characteristics of trailers in the coming years will be lighter weight and have greater durability through an increased use of composite materials, such as fiber-reinforced polymer resin, metal-plastic combinations and low-density bi-metals, said Great Dane’s Lee, who also is chairman of the Technology & Maintenance Council’s Future Trailer Productivity Task Force. One of the challenges with new materials, however, is their cost. Using composite materials will allow trailers to be constructed using fewer pieces, he said. “The design will change so that the number of components in the overall structure will continue to go down,” Lane said. 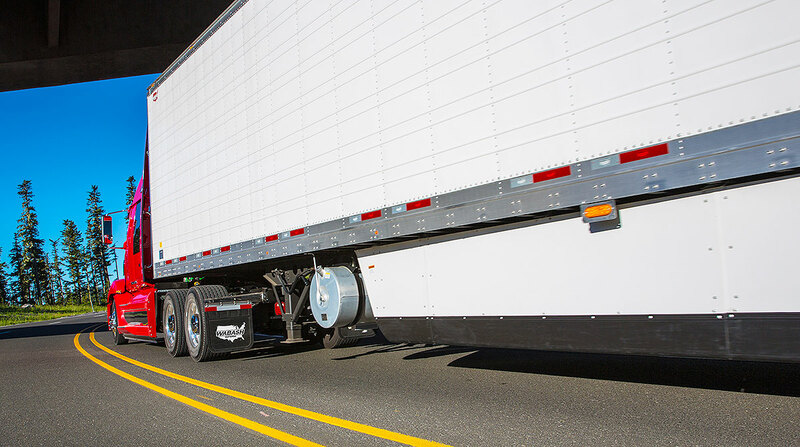 Todd Cotier, director of maintenance for Hartt Transportation Systems of Bangor, Maine, expressed optimism about the potential improvements that are coming to future trailers, but pointed to cost as a potential stumbling block. For the use of new materials to take hold, fleets will need to be convinced there is a clear return on the investment, Hyundai Translead’s Lee said. Fleet owners will assess the total value and cost effectiveness of new technologies and materials. “If the pricing does not add value or reduce the total cost of ownership, customers will hesitate and likely not commit to purchasing,” he said. The current national crisis over a lack of sufficient funding for infrastructure improvements, meanwhile, may be relevant to the industry’s acceptance of new materials. “Deteriorating roads in addition to the increased duty cycle will require trailers to withstand more stress and strain, so new materials like composites must be thoroughly tested for life-cycle durability compliance,” Utility Trailer’s Bennett said. Composite materials can help create a much wider range of trailer shapes, and this encourages people to consider radical changes in design. “Right now trailers are still mostly boxes on wheels, but that needs to change,” said Daryl Bear, lead engineer and chief operating officer at Mesilla Valley Transportation Solutions, which provides fuel economy testing for suppliers and fleets. Bear worked on Indy racing cars before coming to trucking and brings that perspective to his vision of the trailer of the future. MVT Solutions is a division of Las Cruces, N.M.-based Mesilla Valley Transportation. Trailers also will need to evolve to keep up with automation in warehouses. “We’ve had several requests from various customers to integrate trailer design with automated dock equipment,” said Strick’s Bell. Government regulations likely will drive some of the changes in trailer design, but it’s currently unclear how the federal government’s Phase 2 greenhouse-gas emissions rule will impact trailer manufacturers. That rule would have regulated trailer efficiency for the first time, but a federal appeals court halted implementation of those trailer standards in response to a legal challenge by the Truck Trailer Manufacturers Association. The Environmental Protection Agency, which authored the Phase 2 rule in cooperation with the National Highway Traffic Safety Administration, has been reviewing the trailer regulation but has not provided details on the time frame for that process. The industry, meanwhile, continues to wait for more clarity.